Inspired by the sight of poppies growing in the scarred battlefields, Canadian Lt. Col. John McCrae penned the moving poem "In Flanders Fields." The poppy was adopted after WWI as a symbol of remembrance. 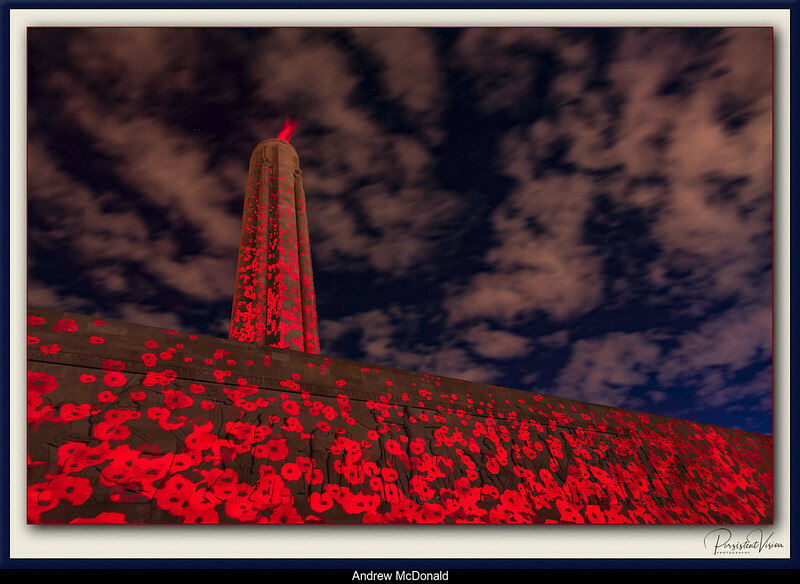 Now, 100 years later, poppies are projected on the official U.S. WWI memorial in a moving installation. Titled Peace and Remembrance, and evoking emotions of loss and hope, it can be experienced for nine evenings leading up to the centennial of the WWI Armistice on Nov. 11 - a tribute to the 9 million soldiers from across the world who made the ultimate sacrifice.